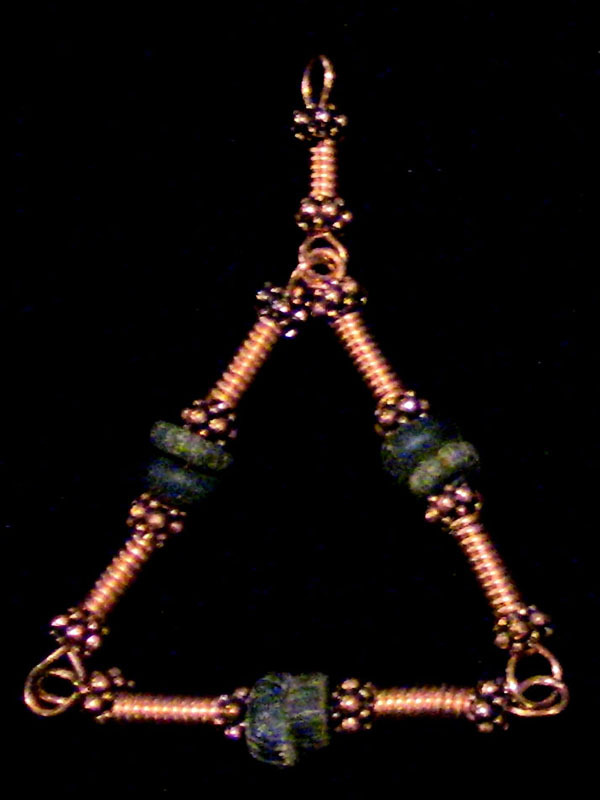 Ancient Roman Cobalt Glass in modern copper wire & findings reconstruction. In the above photo, you’ll note the rich, deep cobalt tones of that Roman glass in double format. It makes a powerful “ringing” sound in the Astral Level, so it could serve as an Astral Target for those interested in experimenting with Astral Out-of-Body Travel.